Cary Joji Fukunaga is making a name for himself as one of the most brilliant and daring filmmakers working today. Fukunaga is perhaps best known for directing the first season of the HBO series True Detective, widely regarded as one of the single best seasons of any series in television. True Detective season one elevated the tried-and-true police procedural into a thrilling, twisted masterpiece, thanks to its stark, striking visuals and career best performances from Emmy nominees Matthew McConaughey and Woody Harrelson. Perhaps inspired by True Detective creator Nic Pizzolatto's remarkable achievement, Fukunaga himself has co-created, along with noted writer-producer Patrick Somerville (The Leftovers), the new Netflix original limited series Maniac, bringing with him the twisty storytelling, unique visual flair, and of course, star power that made True Detective so compelling. Set in a whimsical alternate reality full of 1980s-era technology, Maniac follows Owen Milgrim (Jonah Hill) and Annie Landsberg (Emma Stone), subjects of an experimental psychotropic drug trial. Besides simply needing the money, Owen and Annie are both running from troubled pasts, hoping this new wonder drug will help them find inner peace. Over the course of the trial, the two strangers make a surprising connection, much to the dismay of the scientists running it, and find themselves working together to overcome every obstacle the trial, and their own minds, set in front of them. Owen and Annie are two incredibly juicy, complex characters, the kind of roles any actor would chomping at the bit to play. Hill and Stone are more than up to the challenge, with a natural chemistry so remarkable it's hard to believe that they've only worked together once before, in 2007's Superbad, a fine film but not one known for its nuanced performances. The two leads flawlessly jump from projection to projection, bringing their respective characters' substantial baggage with them into each personality they assume along the way. Hill and Stone have a lot to do, and they nail all of it without missing a step. 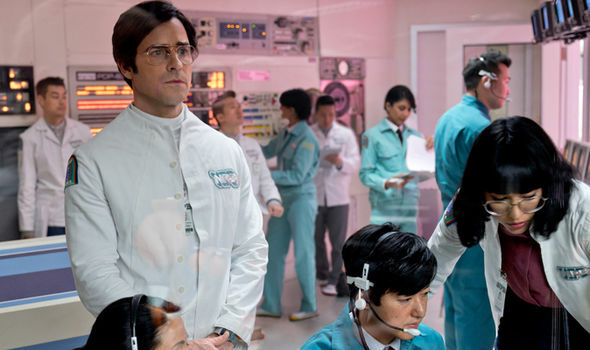 The supporting cast to a person is also excellent, particularly Justin Theroux hamming it up as supervising doctor James K. Mantleray, a brilliant scientist with troubling mommy issues, and the great Sally Field as the aforementioned mommy. Even the other subjects are full of personality despite not having a whole lot to do. Superb performances aside, the visuals are absolutely one of the stars of the show. 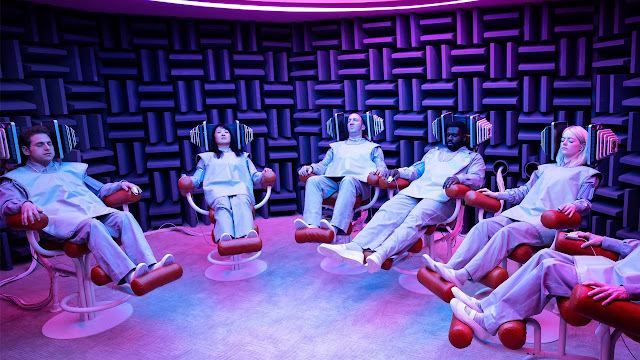 Where Fukunaga and director of photography Darren Lew shot True Detective in drab, dark hues, the colors in Maniac positively pop, adding an extra layer of personality to the show's bright, bubbly retro-science world. The effects, such as they are, are mostly practical, inhabiting a busy world full of flashing buttons and whirring videotape. At its most colorful Maniac is full of hat tips to films like 2001, Blade Runner and even Willy Wonka and the Chocolate Factory, yet taking place in a fascinating original universe you'll wish you could explore every corner of. 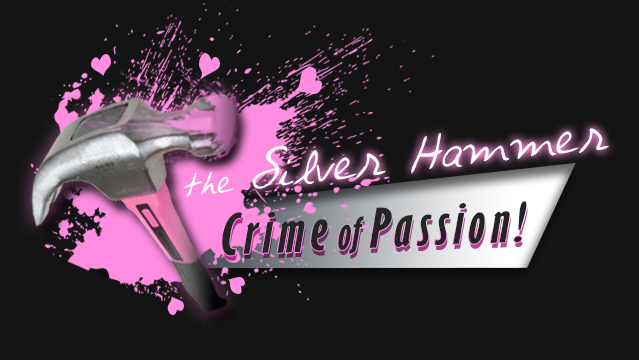 The story at Maniac's heart, based on a 2014 Norwegian TV series of the same name, is engaging though a bit busy at times. Early episodes dip a toe into Westworld "mystery box" territory, seeming to throw more questions at the audience than it can possibly answer. 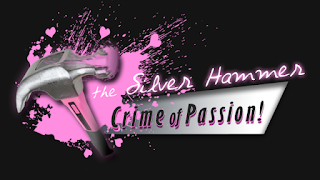 But the patient and faithful are rewarded as the series rolls on, unfolding into a complicated but astonishingly rich narrative packed with plenty of "a-ha!" moments as the trial, and the characters' own stories, comes to their conclusions. Maniac is whip-smart, painstakingly crafted TV at its highest quality. It is certainly helped by the fact that they show can be fairly easily digested in one or two sittings (the ten episodes range from 25 to 45 minutes in length), versus the network standard week between episodes that could slow down a bit of this story's momentum at times, particularly early on. 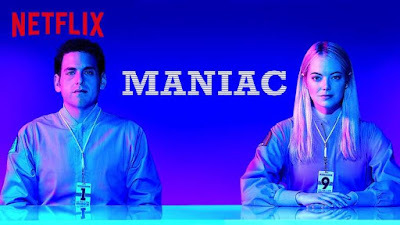 It will be interesting to see exactly what Fukunaga brings to the next James Bond adventure, but Maniac without a doubt proves that it could potentially be something truly special. Maniac is initially a difficult pill to swallow, but as its intoxicating effects take hold, you, like the subjects in the trial, will be eagerly anticipating your next dose.